← How to append image to PDF? Then, to correct image, you need to click “setting”, then, click tab “Base Setting” on setting panel, then click check box of “Skew Correct”, and click “ok” so this setting can be saved automatically, at the same time, program can take you back to main GUI interface. At last, please click button of “Make PDF” on interface > click “Convert one image into one PDF file” on dropdown list, and when there is a dialog box popped on your screen, please click one of folder there and hit “save”, so Image to PDF Converter can help you generate PDF with image corrected into destination folder. Img2PDF is representative of path of “img2pdf.exe”, which is typed for calling this program so that CMD version of Image to PDF Converter can be effective in conversion later; [options] stands for optional parameters, which could be typed for setting targeting properties of PDF files; <-o output> is an essential combination, where “-o” is essential parameter to generate PDF file and “output” means path of “img2pdf.exe”, which is typed for saving PDF file; <images> is essential source path used for adding image for this process. At the end of this article, you can ask questions about this process ,which is from image to PDF and correct image with GUI and command line of Image to PDF Converter, by the way of adding your comments here, so our technique support can help you with your questions asap! And if you would like to know more articles about Image to PDF Converter and other tools, you can visit our knowledge base at: http://www.verypdf.com/wordpress/. Thank you for your support. 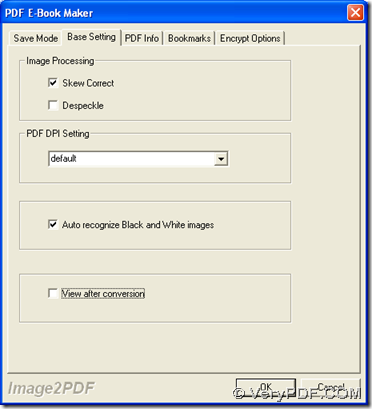 How to convert image to PDF and encrypt the PDF file? How to combine multiple images to single PDF or multiple PDF files with command line? How to convert image to PDF and edit PDF keywords? How to convert image to PDF and edit PDF author? How to add files from scanner to image2pdf? How to add website information to my PDF file? How to convert PNM to PDF? This entry was posted in Image to PDF Converter and tagged command line, image to PDF. Bookmark the permalink.